Gaspard Augé and Xavier de Rosnay — the duo known as Justice — never work apart. The pair are keen on a fluid creative process with traditional instruments. So the time spent on their third album, Woman, was "one year-and-a-half of seeing each other almost every day and working on the record," de Rosnay says. This process is the foundation of their sound and affinity for timeless disco. When the duo have something that works on a very simple bass hook, according to de Rosnay, "It means that it's going to be good once produced, and this is when we start to produce things and record them." After ten years together, there are no ideas off limits and no sounds deemed too ridiculous. "It's exactly the same process as brainstorming — you exchange ideas, and sometimes you know they're wrong, but you know the other one can use that to bounce back and propose something else." While the tracks on their records can — and often do — work as individual singles, the French duo specialize in making cohesive albums that make a complete statement. 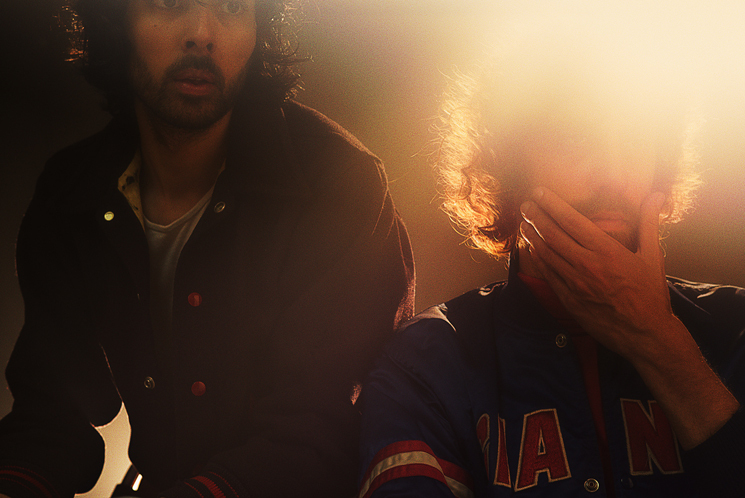 Every track on the record serves a purpose, as the Ed Banger kingpins "try to think about [songs] on both levels, as part of the album, and also individually, for them to make sense. The way these songs developed, the way they intertwine, the way they respond to each other, and also the general sensation of things flowing naturally and easily — that's the way we feel it." Despite their careful attention to detail, they never consider how their work will be received. According to de Rosnay, "The truth is that we make albums, and every time we make an album, it's a picture of what we can do the best at the moment we are making it. Once it's out, it doesn't belong to us any longer. Whatever our intentions were, everybody's gonna own this record and understand different things depending on their culture [and] sensitivity."